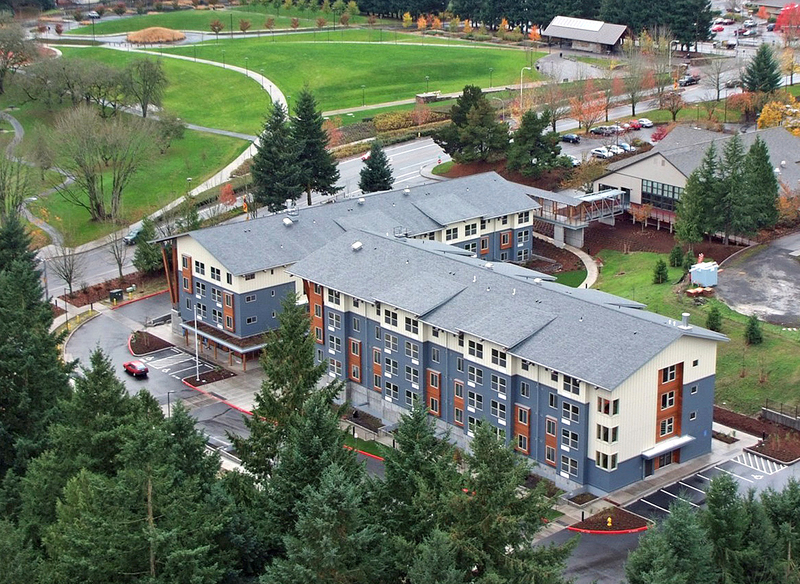 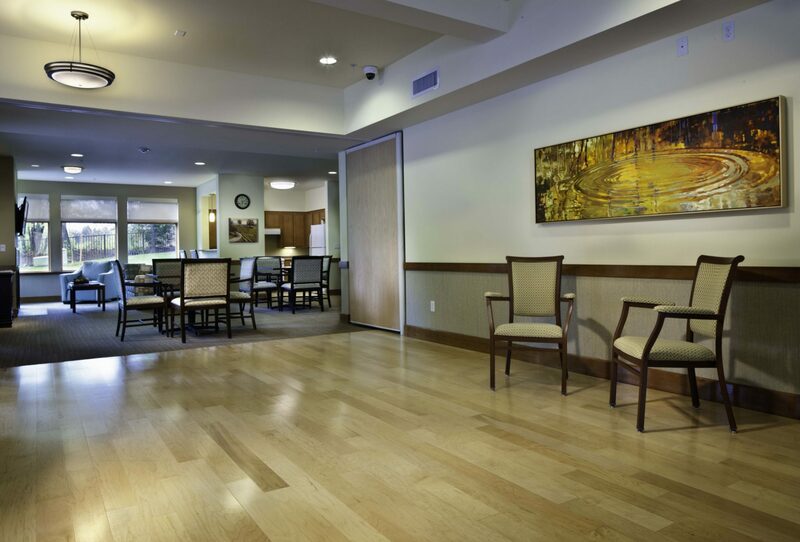 Creating a strong sense of community both within the building and by connections to its natural setting and the larger community, Creekside Woods provides affordable and independent senior housing. 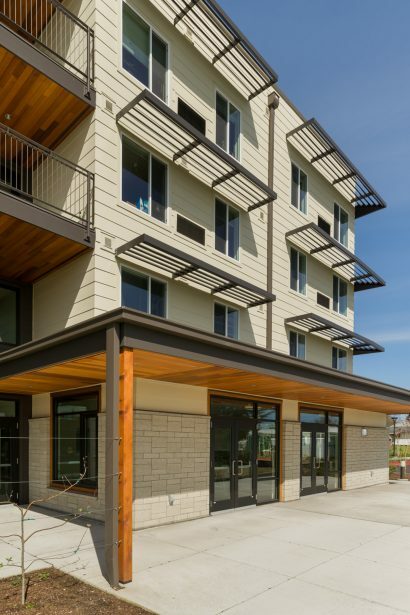 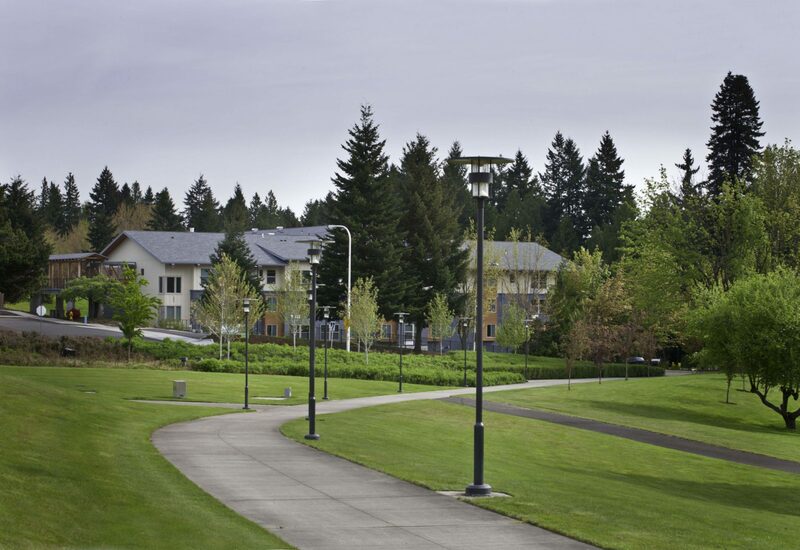 Located on a sloping site leading to Boeckman Creek, this sustainable two-building, 84-unit apartment complex serves as replacement housing for seniors who lost their homes with the closing of an adjacent mobile home park. 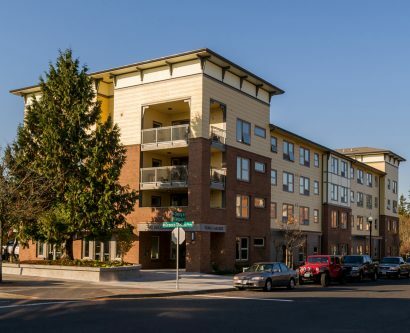 The buildings are placed in a unique relationship, allowing them to connect at the lowest level (ground floor) so residents do not need to travel outside to gain access between buildings. 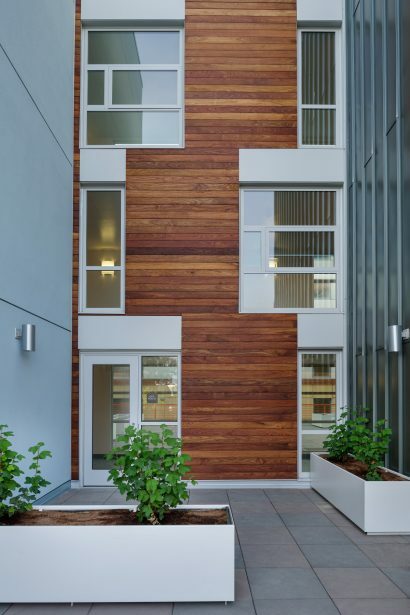 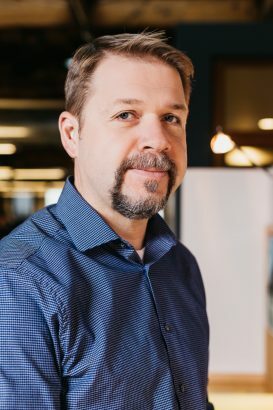 Additionally, they are connected by an exterior entry plaza and a landscaped outdoor terrace that includes a fully accessible common pathway. 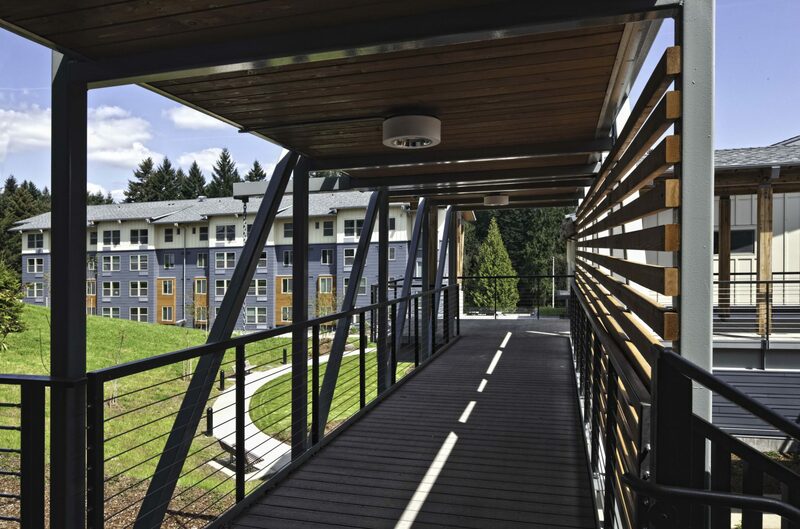 A covered bridge walkway connects the building directly to the Wilsonville Community Center, creating a tangible and accessible link between the two community uses. 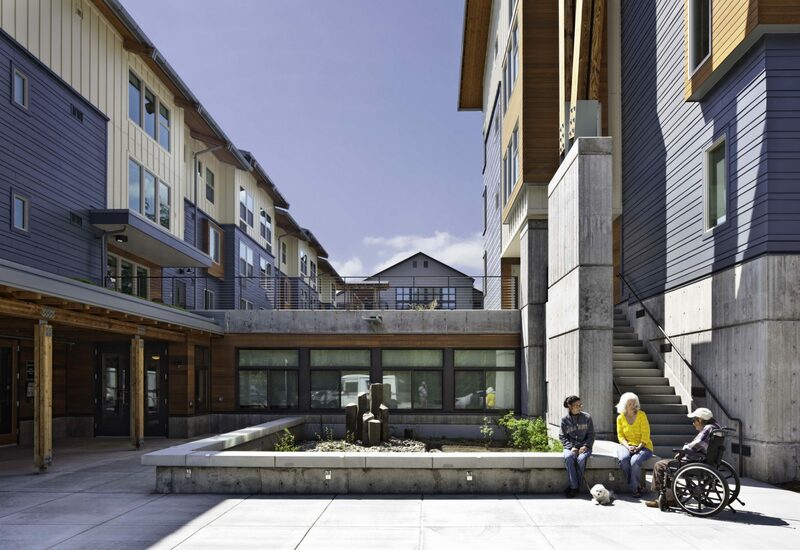 Sustainable features include the use of reclaimed flooring in resident common space for gathering and recreation. 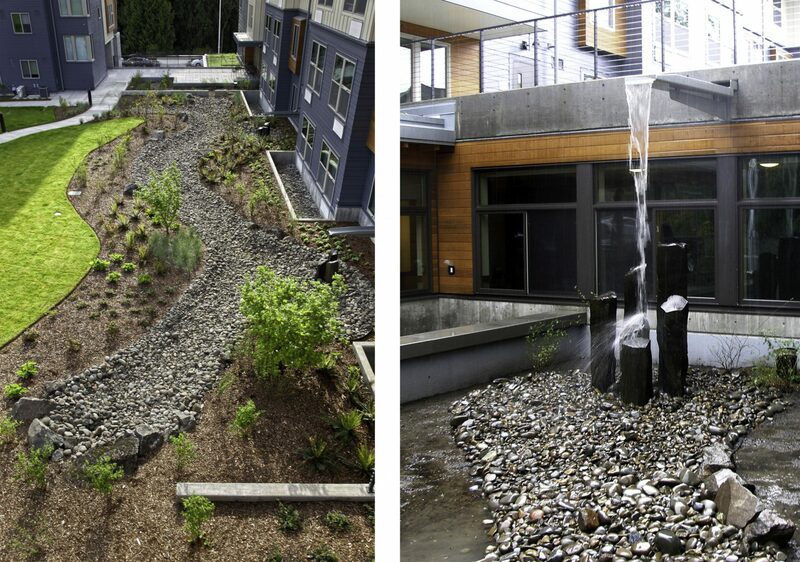 Stormwater is managed through building and site design while providing an elemental component to the landscape features. 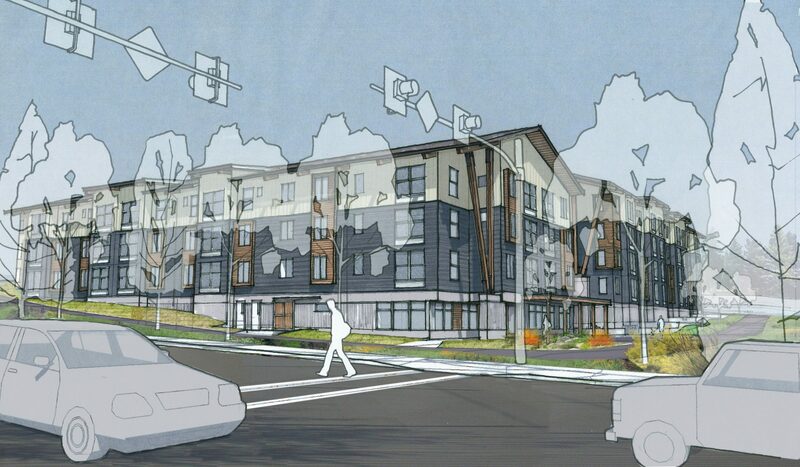 The design preserves an important view corridor from the City’s existing community center.